Celebrating all things spacey-wacey and timey-wimey, the 27th annual Gallifrey One convention was held February 12-14, 2016, at the LAX Marriott in Los Angeles. This was only my second visit to Gally, but it has already become one of my favorite cons. Alas, like SDCC, it is also becoming everyone else’s favorite con—online buyers crashed Gally’s server as soon as tickets went on sale in April 2015. Gally organizers responded immediately and kept buyers informed, but they were ultimately forced to resort to a lottery-style system to meet the demand. Gally is a small convention (just under 4000 attendees); its limited size keeps it friendly and personal, but its growing popularity left many long-time attendees without tickets for the first time in the con’s history. Gally offers a great mix of Classic and New Whovian guests. 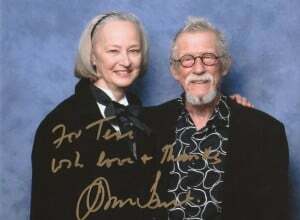 Two big draws this year were the appearances of War Doctor Sir John Hurt and Master/Missy Michele Gomez. (Gomez has moved to the top of my list of people I’d like to get drunk with some day.) Both actors, along with guests Peter Davison, Colin Baker, Ingrid Oliver, Samuel Anderson, Nicola Bryant, Frazer Hines, Neve McIntosh, along with many Who writers, voice actors, and artists, appeared in multiple panels over the course of the weekend. Some attendees had to be turned away from Hurt’s Saturday panel after the largest program room filled up—a Gally first, I believe. L.A.’s proximity to the NASA’s Jet Propulsion Laboratory in Pasadena means that Gally also offers a good selection of science-track panels. JPL speakers gave presentations on the Cassini mission to Saturn, the Mars 2020 mission, and the New Horizons Pluto mission, among others. It’s encouraging to see that not only are these panels well attended but that a fair number of the attendees are children. It’s also encouraging to find that many of the scientists presenting their work at these panels are women. When I attended my first Gally in 2015, I was startled to find a few Star Trek panels and guests on the schedule. (I was also pleased; my long-time con-going partner is a huge Trekkie but has only recently begun watching Doctor Who.) The Trek presence was even bigger this year—nearly the entire cast of the web series Star Trek Continues was in attendance. I sat in on one of their panels for an episode screening, discussion, and blooper reel, and I was very pleasantly surprised. As a graduate student in the humanities, I am delighted that Gally includes panels on social and cultural issues. It is difficult to address multi-layered topics like race, spirituality, gender, and sexuality in the space of 50 minutes, but Gally does this much better than SDCC. It may be because the more intimate nature of the con is better suited for these discussions, or perhaps the demographics are simply different. I do think that Gally attracts both younger and older fans than does SDCC. The percentage of Classic Who fans seems greater than at SDCC, and many of these fans are older. With children and grandchildren of their own, older fans may have a different set of convention priorities. Gally also offers day-long children’s programming starting at noon on Friday and continuing until the convention closes on Sunday afternoon. Gally fans make the convention. I suppose this is true of all conventions to some extent, but Gally is an extraordinary friendly and inclusive con. It’s the only con I have attended where ribbons are exchanged, and whoever first came up with this idea is a con genius. Long before the con, attendees order stacks of peel-and-stick ribbons printed with clever Doctor Who quotations or related text and images. Beginning on Thursday evening at the unofficial Marriott “Lobby Con,” attendees mingle to exchange the ribbons, which they attach to their badges. It is the perfect icebreaker—it gives strangers an excuse to talk to each as well as something to talk about. I came home with about six feet of ribbons attached to my badge, but mine was short compared to those of some other con-goers. Like other cons, Gally attracts a large number of cosplayers. At larger conventions encompassing multiple fandoms (i.e., SDCC), you cosplay (in part) to find “your people.” At Gally, we are all Whovians; a much higher percentage of attendees cosplay, and the best word to describe the cosplay I saw (and participated in) is “joyous.” There is a fair amount of gender-bending (lots of femme Doctors) but almost no highly sexualized costumes. In accordance with the Doctor’s philosophy, there is hardly a weapon to be seen; everyone carries a sonic screwdriver. Logistically speaking, Gally has a lot going for it. The Marriott folks are wonderful hosts; many of them wear Whovian apparel, and the restaurant staff has its own ribbons to trade with you. On the main floor, venue maps and schedules are posted on the walls to help con-goers navigate the halls. There is a well-equipped costume repair room open to everyone, and the hospitality suite offers free sodas and snacks to all attendees. One room is dedicated to screening popular episodes of Doctor Who throughout the entire convention. Saturday-night karaoke apparently continues all night long after the masquerade, and one day I hope to get in an afternoon nap so that I can stay up for it. The Gally dealer’s room is relatively small, but it seems adequate for the size of the convention. Interestingly, the room also contains the autograph tables. Unlike SDCC, you can stand a couple of yards away from John Hurt signing autographs without looking over your shoulder for security people ordering you to move along. The photo lines can be long, but they’re efficient, and jpegs of your photos are available online after the con for no additional charge. Gally also offers small, personal meet-ups with the guests in the form of kaffeeklatsches and receptions for an additional price (about $100). Because this is a review, I suppose I should say something critical. Even though Gally seems committed to remaining small, it might be outgrowing its venue. The Starbucks line in the Marriott gets very, very long. It would be nice if the hotel restaurants extended their hours during the con. And although the tickets, photo ops, and autograph sessions are reasonably priced, this year Gally also offered a VIP Showmasters photo pass for a mere $895 and a John Hurt VIP pass for $350. I have reservations about the wisdom of culling the elite from the masses at a con like Gally; I’m not convinced the Doctor would approve. In short, Gally is a great convention that no-one should go to so that I can be sure of getting a ticket again for next year. 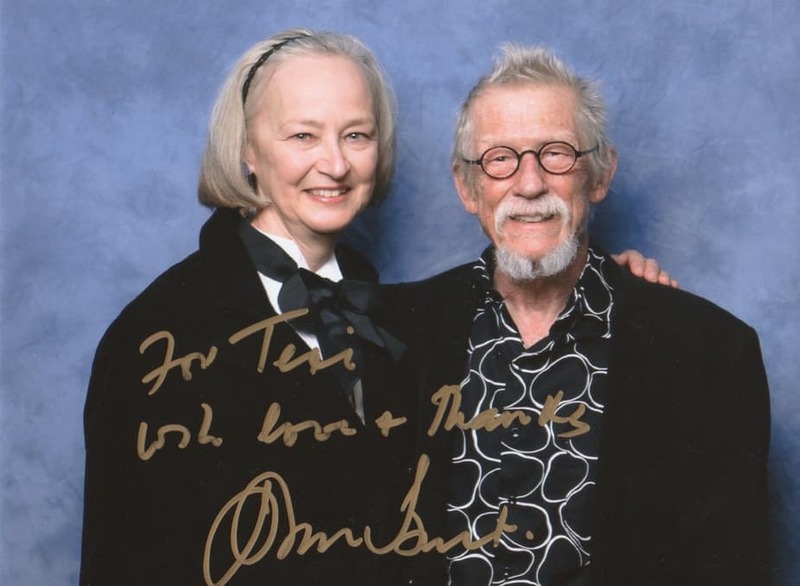 To see what others are saying about Gallifrey One 2017 or join the discussion on the Forum click on the link below.